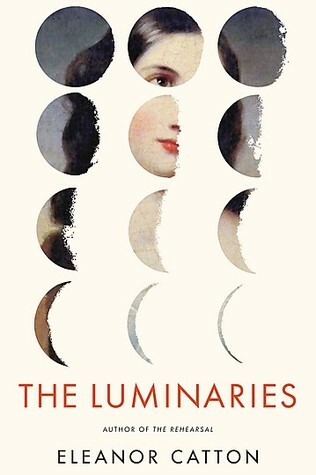 The Luminaries is a technical achievement. The chapters wax and wane, the characters revolve around each other like the stars, their paths intersecting in complex patterns. Written in a style heavily inspired by Victorian novelists, The Luminaries presents the tale of twelve men brought together by circumstance. Although I love the idea, and the execution is handled well, I never truly latched onto The Luminaries. I started reading it in December 2016, and read it on and off, only to finish it in March 2018. On one hand it is a testament to the novel that I kept coming back, but on the other it is very telling that I kept prioritizing other books as well. It is more a book that I admire from a distance, than one I devour. Set during the gold rush in New-Zealand, The Luminaries starts with Walter Moody arriving in Hokitika, a small mining outpost in the New-Zealand wilderniss, having seen a ghost. The story involves several fortunes gained and lost, secrets that can’t be contained, and a missing person considered dead. The cast of main characters is large, though Ms Catton draws them with Dickensian eccentricity which helps keeping them apart. I feel like a broken record here, but I was disappointed by the centrality of men in The Luminaries. The three named women in the book barely figure – and in a 800-page novel I feel there is no excuse for this. Both Anna Wetherell and Mrs Sheppard are wet mops of women, simply being buffered around by the men in their lives, showing nothing but the slightest moments of agency. Nor are they given much interiority, with makes matters worse. Lydia Wells is an unsympathetic figure yet interesting, but is equally kept from the narrative. Though the women, in particular Anna and Lydia, are essential for the plot, it is the men that tell and move this story. The women take the traditional passive role – and this frustrates me. Even true 19th-century literature gives women more agency and voice than this, no matter how unequally treated they were. It’s the 21st century. We can do better than this. Trigger warnings (highlight to show): drug addition, emotional and physical abuse, racism, questionable consent, miscarriage. The Mark of the Witch is a delightful soft paranormal romance. Unlike many books in the genre, Mark features two human protagonists in a recognisable contemporary world with just the perfect amount of magic sprinkled in. Indira is having strange dreams of a former life. Though she is a lapsed Wiccan, she turns to a witch friend to make sense of what is happening to her. Father Tomas, on the other hand, has been trained his entire life to stop a witch from summoning a demon – but whatever he was expecting that witch to be, it wasn’t someone like Indira. The central conflict in The Mark of the Witch is that Indira has no idea what is happening to her, while Tomas has more information about the situation and is charged to stop her. Perhaps even to kill her, if all else fails. While this premise could have been pretty horrifying (I’m honestly kind of tired of people falling in love with their murderer-to-be), both Indira and Tomas are down-to-earth, grounded people. The threat of violence never materialises, and though there is plenty of conflict to be navigated, they’re pretty great together from the get-go. Since this is a (paranormal) romance, the plot is a vehicle to develop the relationship of the hero and heroine. There was a good balance between plot and character development, keeping up the suspense through blurred loyalties and slow reveals of Indira’s past life. Though mythology doesn’t feature heavily in the book, it does provide a sensitive and positive portrayal of pagan religion. I especially liked that faith is never an issue in the book – even though Indy is a (former) witch and Tomas is Christian, they fully respect and appreciate each other’s views. Even reading this as an atheist with a low tolerance for strong religious overtones in fiction, The Mark of the Witch never gets preachy. I don’t often read romance, and while reading The Mark of the Witch I realised why. Especially within the paranormal subgenre, the alpha male is the stereotype. Stern, overbearing, macho – the muscular alpha male will grunt and brawl his way into the heart of the heroine, usually by physically threatening anything in her vicinity. The Mark of the Witch features the complete opposite: Father Tomas is a gentle, steadfast man. He wants to help Indira, not intimidate her. He is supportive, sweet, and though he is conflicted about the whole she-might-summon-a-demon thing, he never lashes out in anger or fear. There is an element of forbidden romance which was resolved neatly, and though the ending of the book was rather abrupt, the characters development was satisfactory. The book deserves some final extra brownie points for featuring a female friendship that passes the Bechdel test. Trigger warnings (highlight to show): the heroine is mutilated by a spirit in her dreams – the bloody markings on her body can be a trigger for self-harm. Mild violence. Heroine in a past life has committed suicide so her partner didn’t have to kill her. Cleopatra Ascending is fast, almost too much so. Covering 223 pages, this young-adult paranormal thriller is straight-up non-complex fiction, easy to read and get lost in. Rhea has always known she was a reincarnation of Cleopatra, the Egyptian queen, but it had never seemed interesting. Her family consists of witches and shamans, and Rhea is boringly human – until her sixteenth birthday. On an otherwise dull day, she discovers she is part of an ancient curse, which only she can break. 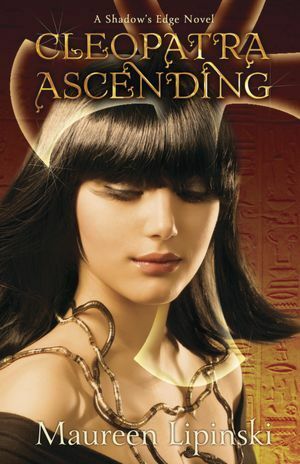 Although Cleopatra Ascending is the second book in the Shadow’s Edge series, it is perfectly understandable without having read the first book. The earlier book focusses on one of Rhea’s sisters, making Cleopatra a fresh story only loosely connected to it. 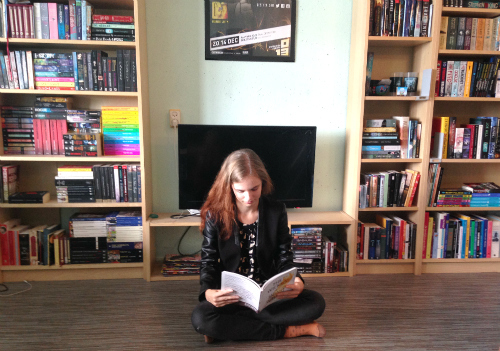 Unlike many young-adult books, Rhea already has an established relationship at the beginning of the book. Despite the fact that a second teenage guy is introduced in the course of the book, a love-triangle never forms, leaving the original relationship as the focus of romantic interest. I liked how the issues Rhea and Slade faced were related to their circumstances, and not the addition of another hot guy. Rhea is very much a teenager, which is an advantage or a drawback, based on your perspective. She is concerned with mundane things like being grounded, seeing friends, and smooching her boyfriend, and the world-ending stuff doesn’t make her forget these things. Perhaps she reads as “stupid” for not taking the treats on her life seriously, but I actually found her resistance realistic. No matter how surrounded you are with the paranormal, saving the world must not come easily to everyone. The weakest aspect of the book is the mythology. Rhea receives visions from her previous life, but these do not extend beyond the aesthetic and plot-related elements. There was very little to learn about history or Egyptian culture or even Cleopatra herself. 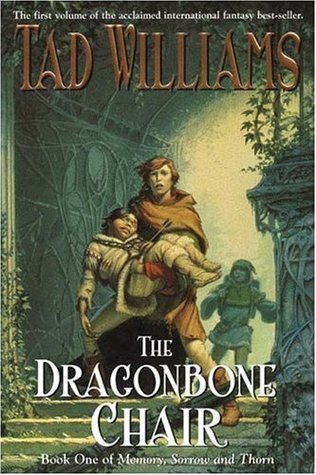 It feels like a missed opportunity, as there is so much material to work with, and I feel that the book would have had a better grounding if it had drawn more from mythology and history. As it is, the plot seems flimsy and filled with an almost cartoonlike distinction between good and evil. 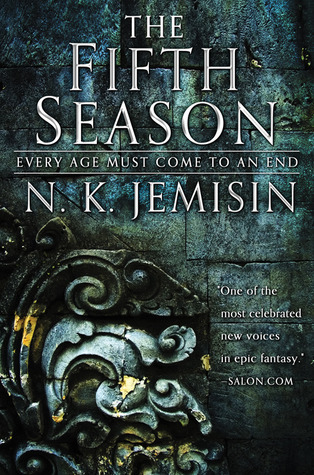 It is serviceable, and propels the story toward a satisfying conclusion, but it doesn’t leave much of an impression. On the other hand, this does mean that Cleopatra Ascending is accessible even for readers who find history incredibly dull and are looking for a high-stakes adventure featuring a girl-next-door teen protagonist. Trigger warnings (highlight to show): violence. Some characters are killed by a bomb. Characters use veils to disguise themselves, and I am unsure whether the portrayal of this was handled sensitively enough. Despite living with a shaman, a witch, and a muse for sisters, Rhea Spencer feels like a normal teenager-even if she is the reincarnation of Cleopatra. But all that changes on Rhea’s sixteenth birthday, when her visions of the Egyptian queen start unraveling a very different version of history, and Declan, a hot representative of the secret Order of Antony, shows up on the doorstep to keep her from being kidnapped. Together, Rhea and Declan travel to Egypt to stop the Octavians, a dark cabal trying to tap into Rhea’s growing powers. The cabal seeks to access the magic deep below the desert sands, a potentially devastating force that only Rhea can protect. 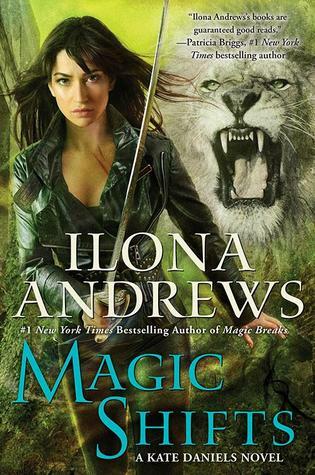 As Magic Shifts is the eight book in the Kate Daniels series, this review might contain spoilers for the earlier books. Some really big stuff went down in the seventh book in particular, so beware! Times are changing for our favourite power-couple Kate and Curran. Having left pack life behind, they moved to a nice suburban neighbourhood. Though perhaps a were-lion is not the kind of neighbour the humans signed up for… When a pack member goes missing, Kate and Curran are faced with an enemy they haven’t encountered before – and it’s getting stronger every day. After a book that made some huge steps in the overall story arc of the series, Magic Shifts is a slight return to the monster-of-the-week format. Although the various treads get attention – especially Kate’s relationship with her father continues to fascinate – Magic Shifts introduces a rather typical mystery-action-adventure of the kind series readers will recognize from the earlier books. I was glad for this break, allowing some more character growth as roles and relationships change. Events in Magic Shifts illustrate how far Kate has come. Gone is the solitary mercenary, as she has gained responsibility not only for people she loves, but also Atlanta as a whole as she claimed the city. The loving and stable relationship between Kate and Curran is continued in this book, which makes me terribly happy. It’s great to have an established couple as heroes, rather than being in perpetual will-they-won’t-they limbo. They will, and they do, and they’re awesome together. Without saying too much about the mystery in Magic Shifts, it draws from Egyptian, Middle-Eastern and Islamic mythology and tradition. These books have been great in highlighting mythologies beyond the Anglo-Saxon, and this was no exception. I will leave the judging the accuracy of representation to actual Muslim readers – it is not my place. The portrayal of the Muslim characters however was sympathetic and complex. Another great book in the Kate Daniels series. It’s great to see Kate and her family come together through adversary. As always, I am looking forward to another volume of witty and snappy prose and sword-wielding adventure. The last few months have been quite stressful for me, and consequently I have very little focus. Though it’s slowly getting better, I still have a hard time actually sitting down with a book, and an even harder time finishing anything. 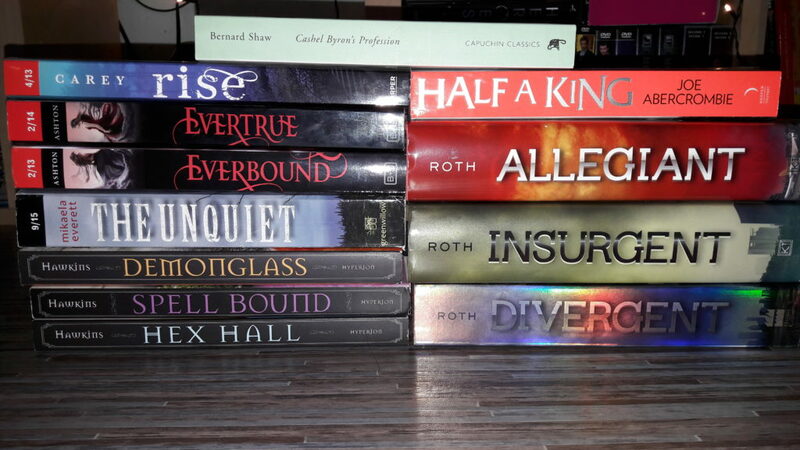 I’m usually quite a fan of long and/or complicated books, but at the moment these aren’t working for me. Therefore I’m turning to you, lovely readers, to recommend me some quick reads! Anything that’s easy to read. A good read would be something that isn’t too long (think 300 pages max), is fast-paced and gripping. 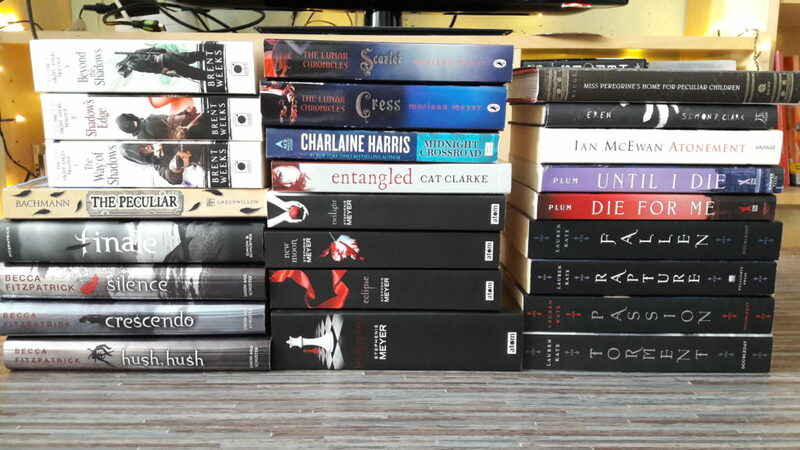 Feel free to check out my shelves on Goodreads to see what I’ve read so far. Don’t be afraid to recommend a book that is already on my to be read list, often I forget which books are on there. 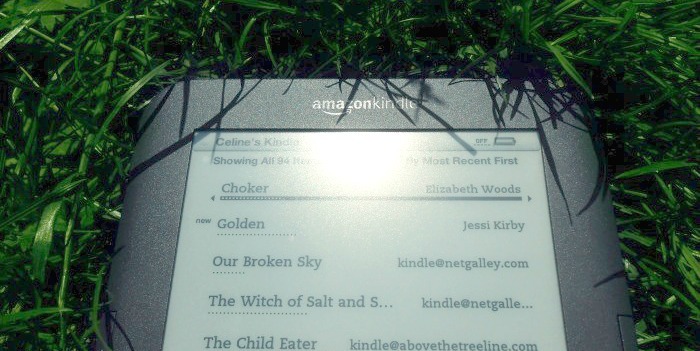 What quick reads would you recommend? Kate Karyus Quinn not only has a fantastic imagination, but also the skills to translate that onto the page. Everyone knows Lennie’s name. After her criminal father killed a few people during a heist and got away with it, it’s hard to just live your life; which is exactly what Lennie wants. There are more secrets in her family – including the fact that she can grant wishes. Which her uncles did not tell her. And now she has granted a dozen wishes to drunk teenagers by accident. Whoops. I have been hooked on Quinn’s books from the moment I read (Don’t You) Forget About Me. Her stories are fantastic, nostalgic, and always resonate with me. 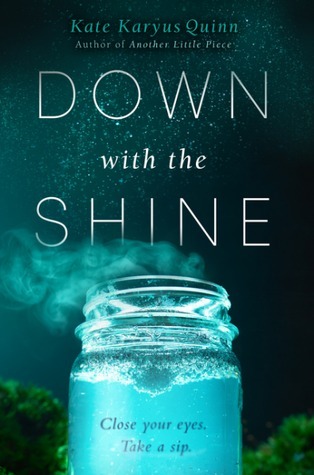 Down With the Shine has plenty of moments that will break your heart, but overall I found the tone to be relatively light and humorous. Much of what happens is absolutely absurd and Lennie’s adventure made me think of a teen Alice in Wonderland. Granting all those wishes has led Lennie down the rabbit hole, and will she ever return to normalcy? The author does voice very well, and Lennie was realistic and relatable throughout all the madness that is thrown her way. Down With the Shine has a cute hate/love interest and I enjoyed their permanent banter. I mention this in my reviews quite often, but no sweeping declarations of eternal love here. Just two teenagers having a crush on each other, and both not ready to admit it yet. My only issue with the book is that at some point it tried to tie together too many storylines. Though it never got to the point where it got confusing, I did not feel invested in all aspects of the story, most notably that related to Lennie’s father. I can’t pin-point the exact reason I did not care for that part. Maybe it was one step too far? Maybe that storyline was not set up enough? It wasn’t a large issue, but it did temper my excitement for this novel a bit. Overall Down With the Shine is a great novel of wonkiness and awkward teens being awkward teens and family members that are never exactly who you expected them to be.